TVM Capital MENA, a leading private equity firm focusing on investments in the regional healthcare and pharmaceutical sectors, has announced its majority-acquisition of Manzil Health Care Services, Abu Dhabi. TVM Capital MENA, a leading private equity firm focusing on investments in the regional healthcare and pharmaceutical sectors, has announced its majority-acquisition of Manzil Health Care Services, Abu Dhabi. The dedicated provider of professional, individualized home care and rehabilitation services was founded as Emirates Outreach Healthcare Services in 2011 by Dr. Ghuwaya Al Neyadi. Manzil Health Care Services provides homecare services guided by the individual medical, rehabilitative and emotional needs of their patients. Services are based on international best-practice, carried out by HAAD-licensed physicians, nurses and therapists on a 24 hours basis in the home environment of the patient. The care team provides highly individualized care for adult and pediatric patients covering nursing care services, medical care and supporting medical care services (rehabilitation) on intermediate and critical levels. Manzil Health Care Services is headquartered in Abu Dhabi with a branch office in Ras Al Khaimah. Manzil Health Care Services joins TVM Capital MENA’s existing portfolio companies, ProVita International Medical Center, Cambridge Medical and Rehabilitation Center and Bourn Hall International. ProVita is located in Abu Dhabi with a second site planned for Al Ain, and is currently the only facility of its kind in the MENA region to provide long-term care for chronic, ventilator dependent patients in a non-hospital setting. Cambridge Medical and Rehabilitation Center is a long-term care center for non-ventilated patients. With its investment in Bourn Hall International, TVM Capital MENA was able to bring the world class In-Vitro Fertilization (IVF) concept to the MENA and India. Based in Cambridge, UK, Bourn Hall was the world’s first IVF clinic and the deal with TVM Capital MENA marked its primary international expansion. It has recently inaugurated a conception facility in Dubai. TVM Capital MENA Limited is a private equity firm focusing on growth capital investments in health care in the Middle East and North Africa (MENA). 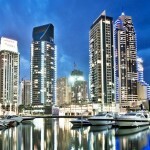 The firm operates out of the Dubai International Financial Center and is licensed and regulated by the DFSA. TVM Capital MENA adheres to the strict international recognized standards and codes of corporate governance developed by the European Venture Capital and Private Equity Association (EVCA). TVM Capital MENA Chairman & CEO Dr Helmut M. Schuehsler served as chairman of the European Private Equity and Venture Capital Association (EVCA) in 2007 and 2008 and drove development of the standards while serving in the respective EVCA committee together with other TVM Capital management members. Investors in the TVM Healthcare MENA I Fund include the IFC (International Finance Corporation), GE Healthcare, the Olayan Group, Crescent Enterprises, and a group of entrepreneurs from the MENA region advised by Dubai-based Alcazar Capital Limited. The TVM Capital MENA team combines long-standing international investment experience and operating track records with extensive networks in, and knowledge of, the MENA region. Abu Dhabi is pioneering regional standards in healthcare delivery and infrastructure for its people and TVM Capital MENA, one of the most active PE healthcare investors domiciled in the region, is committed to growing its portfolio company ProVita in Abu Dhabi with expansion plans for Al Ain and to establish its investment Cambridge Medical & Rehabilitation Center (long-term care for non-ventilated patients) which aims to become the preeminent provider of long term care services in the UAE and the wider MENA region. Manzil Health Care Services s provides homecare services guided by the individual medical, rehabilitative and emotional needs of our patients. Our services are based on international best-practice, carried out by the Health Authority of Abu Dhabi and Ministry of Health licensed physicians, nurses and therapists on a 24 hours basis in your home environment. Our care team provides highly individualized care for adult and pediatric patients covering nursing care services, medical care and supporting medical care services (rehabilitation) on intermediate and critical levels. Our service is based headquartered in Abu Dhabi with a branch office in Ras Al Khaimah. Founder and CEO Dr. Ghuwaya Al Neyadi leads and coordinates a team of skilled, dedicated and experienced physicians, nurses, therapists and case managers whose main objective is the reclamation of their patient’s utmost possible normalcy, independence and social re-integration. Manzil Health Care Services was founded in 2011 as Emirates Outreach Healthcare Services and was majority- acquired by TVM Capital MENA Ltd., a healthcare focused Private Equity investor in mid-2012. Manzil Health Care Services aims to be the leading provider of HAAD-licensed homecare services in the UAE.